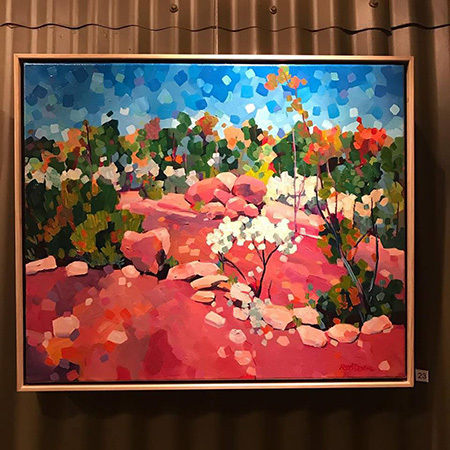 Reminder: We have our Meeting and painting ‘A Landscape in Acrylic’ demo with Mellissa Read Devine tomorrow, Tuesday 10th July, 7:30pm at the Stan Stevens Studio, Deerubbin Centre, George St, Windsor. Mellissa has studied & practiced printmaking and painting continuously for the past 21 years and is a recipient of many prizes and awards. Her Artwork is part of many private and public collections around the world. 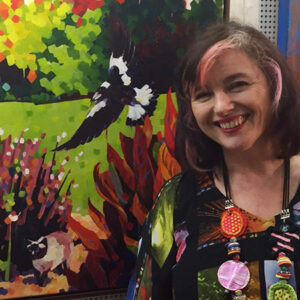 Living in rural Sydney overlooking the Hawkesbury River, Mellissa’s work ranges between vibrant interpretations of her local landscape to intricate wood & linocuts. 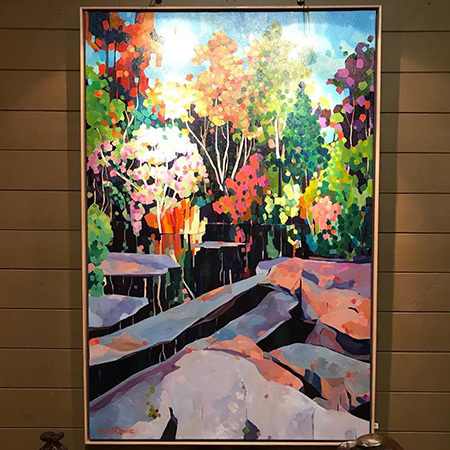 Her combination of quirkiness and calm blend to create works with a strong spiritual base.